The music people at advertising agencies are like anyone else in the music industry except that their jobs are even more blatantly about commercial functionality than art, which some might see as crass but can also be refreshingly honest. Like the music biz in general, music producers at ad agencies are more than willing to brazenly copy a sound that's been successful for someone else. Cross that willingness with the relatively new concept of advertisements having a secondary job as a music discovery platform, let unimaginative ad music producers copy each other a few dozen or hundred times, and we end up with situations such as the one where any music that remotely resembles Mogwai or Explosions in the Sky—chiming, delay-saturated clean-tone guitar arpeggios plus slow, sweeping chord progressions and lots of cymbal washes—automatically sounds like it should be selling us a Mercedes-Benz Year End Event. That's a good sound to suggest transcendance through aspirational purchasing, but often advertisers are aiming for more of a vaguely nostalgic feeling laced with a hint of implied artisanal something or other, in which case the go-to sound is medium-tempo folk pop heavy on acoustic guitar and rolling drums with a chorus of young people doing something wordless and sing-along-y. Something like Philip Phillips's "Home." 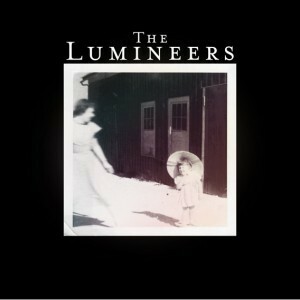 Or perhaps something by the Lumineers? The fedora-hatted old-timey Denver trio's "Ho Hey" has hung on tenaciously to the upper part of the charts for months while far bigger acts like Rihanna and Ke$ha fly by them on the way up to the very top and again on their way back down. So far it's been on the Hot 100 for an unreal 34 weeks, and shows no signs of giving up. The song's chart performance is far more impressive than the song itself, which sounds exactly like I don't even know how many other songs I've heard in Target commercials where an inoffensively hip young person or couple goes through a Major Life Event in some adorably quirky way. A cynic might suggest that the Lumineers consciously wrote the song specifically to appeal to ad agency music producers looking to place something in precisely that type of commercial, but that's just conspiracy theorizing. Whatever the writers' intent, the song's already been placed in two major ad campaigns, one for Blue Moon beer and one for Microsoft's Bing search engine. And anyhow, I'm less interested than the band's reason for writing "Ho Hey" than why such a huge audience has reacted so intensely to it. Is it the song itself that did it, or is it the pleasant connotations of a specific kind of blandly uplifting commercial? Scientists have shown that "nonrational" advertisements—ones that appeal to viewers' emotions rather than making a case for the product's functionality—light up the areas of the brain associated with decision-making and emotional processing. It doesn't seem like a stretch to suggest that the audience is a fan of the commercials first and the song second.